On June 3-6, 2010 the luxurious Dolce Resort in Sitges, Spain will host the next annual meeting of the Bilderberg Group– an unofficial, invitation-only conference of around 130 guests, representing the backstage global elites – most influential figures in international politics, banking, business, the military and media – the sponsors, patrons and manipulators of dozens of presidents and prime-ministers worldwide. The sessions will be held behind closed doors, as ever. Any capable analyst can easily predict what will be the main topic of the discussion. The outcome of the economic crisis, so smartly played by the ‘dedicated’ circle within Wall Street, is hardly achieving its goals. Despite further concentration of capital under control of few private groups like JP Morgan Chase, Goldman Sachs and Citigroup, the economies and monetary systems of the key international players beyond their reach – China and Russia – survived the strike and even got more impetus. All scenarios of crisis escalation hit Western societies first (Greece is just a most sounding example), leaving only ‘after strikes’ for Russians and Chinese who were originally meant as ‘primary targets’. The cost of sustaining the appearance of well-being on Wall Street turns to be too high for the elites. The events of May 6, 2010 when Dow Jones started its free 9% fall on the morning, and only unprecedented intervention from bankers saved the market from the collapse and corrected the index a bit by the evening, were quite revealing. So what will be logic of the Bilderbergers? They can hardly invent anything new. In 1907 the first ‘financial panic’ eventually led to the establishment of the Federal Reserve, a private banking institution that monopolized the issue of the US Dollar (the legal basement for this act is beyond our consideration for now). By 1914 the Federal Reserve had already been effective ‘in order to respond such challenges in future’. In future there would be much more crises and two World Wars. Nevertheless, the World War I allowed America to overcome the consequences of that first ‘crisis’. Next ‘Great Depression’ ended up with the beginning of World War II. So for Bilderbergers the solution is ready. They need a war somewhere far away, in Eurasia. At the area where Chinese, Russian, Indian, Muslim interests cross. A war of a new type. There will be no tank battles, artillery exchanges and frontal infantry clashes. They are planning to inflame a vast area from Damascus to Kashmir and from Kyrgyzstan to Sudan (US CENTCOM responsibility zone) with a permanent burning conflict. The nation states are destined to disappear, to break up into quarreling mono-ethnic territories engaged in never-ending civil wars. These groups will never comprehend what they are actually fighting for. There will be cries for ‘democracy’, for ‘Caliphate’, for ‘human rights’, ‘self-determination’ and many other slogans that by the time will definitely lose its significance. Unfortunately there will be no feasible real power able to stabilize the continent. In case of Russian or Chinese interference you will hear hysterical yells about ‘imperial ambitions’ and ‘crude violation of minorities’ rights’ and so on. Endless, painful and devastating chaos in Eurasia and beyond will be managed by global conglomerates of media and intelligence communities while heavily-guarded TNCs will be devouring resources from the groaning bowels of the Heartland and repaying to local field commanders in arms and munitions for future battles. They have already succeeded in Iraq. Afghanistan will be turned into the same turmoil once NATO leaves the area. Kyrgyzstan is plunging into chaos on our eyes. Few more ‘terrorist’ blasts anywhere with clear Pakistani trace – and Pakistan will be in flames as well. 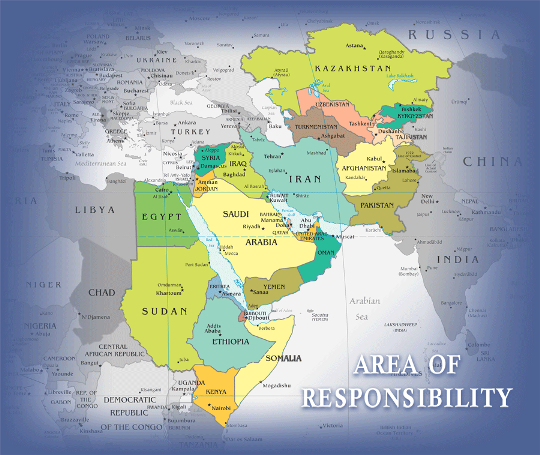 There is only one serious obstacle to the creation of continuous belt of instability throughout Eurasia – Iran. So destabilizing Iran is the priority mission for the elites. They have repeatedly tested Tehran internally. The scenario is the same all the time. The protests inspired from abroad and by a fifth column inside the Iranian society, gather thousands of naive at the streets. Then a victim is needed. Young. Beautiful. Killed brutally. Under the camera’s light. Here is a classic operation of the warmongers. Neda Agha-Soltan became a symbol of Iranian rebellion. She was killed in Tehran on June 20, 2009 during street protests after the election in Iran. The truth is that the trick with ‘police killer’ is a common practice for any revolutionary movement. The same happened during the first Russian revolution in 1905, when provocateurs targeted front liners to accuse authorities of deliberate fusillade of ‘peaceful demonstrators’. The same scenario was played in Bucharest, Romania in 1989, when Ceausescu regime was falling. Later the ‘martyrs for democracy’ died in Moscow in August 1991, when the Soviet Union had been living its last months… ‘The aim justifies the means’ – was a famous saying by classic revolutionary, Leon Trotsky. Contemporary revolutionaries follow his advice. If there is a cameraman with a non-trembling arm ready and a pretty target nearby, everything is up for the show. Whatever you can imagine to overthrow an ‘odious regime’. Now back to Iran. The regime of Ahmadinejad is stable. Whatever Iranians think about ‘democratic rights’ and ‘freedoms’ they do support their leadership. They know that although it is not ideal, the grim alternative to regime is broadcasted every day from Baghdad and Kabul. The only option left for Bilderbergers is to launch warfare. So the ‘Iranian nuclear issue’ is being boosted. Every sensible expert understands that Iran, whether nuclear or not, does not represent a minor threat to international security at least comparing to muscle-flexing Israel (not a party of NPT), possessing 200-400 nuclear warheads, to say nothing about the US. The recent political activities of Russia, China, Brazil and Turkey to make Iran conclude a uranium swap deal and imposing new mild sanctions focus on the only idea: not to leave a minor pretext for striking Iran. Because such a strike is about to be ordered. The Trilateral Commission, a junior varsity for the Bilderberg group, discussed the matter on its last session in Dublin, Ireland, on May 7-10, 2010 and apparently outlined a corresponding plan for senior’s consideration. The planned war against Iran has yet another dimension. The Iranian revenge strike is guaranteed. American, Israel territory (including ships and embassies) will be targeted. That will be a great cause to blow off the USD 12.9 trillion bubble of the current US national debt. It can be done through inflation or through excusable full or partial US currency default. The fate of Euro and other currencies is lamentable as well. They will fall first and deeper than the green buck. Because ‘peaceful havens’ will not be allowed when Uncle Sam feels bad. There should be a pretext for the war. At the same time there should be a combination diminishing possible Russian harsh reaction on the hypothetic assault on Iran. The first ‘probe’ was in July – August last year when the Russian cargo vessel MV Arctic Sea was captured by hijackers off the coast of Sweden and headed to Cape Verde where it was released by the Russian Navy special unit on August 17, 2009. Further press leaks and political actions suggested that it was an operation by Israeli intelligence to fabricate the pretext needed. The vessel was to be loaded by ‘Russian’ nuclear components and ‘intercepted’ at the entrance to Iranian territorial waters. This scenario would make highly ridiculous Russian demands to stop bombings and strikes on Iranian military and civilian objects. The secret visit of Israel PM Benjamin Netanyahu to Moscow on September 7, 2009 confirms this version. His personal presence was necessary to arrange the ticklish question with the Russian government. Most probably he promised to suspend Israel’s military preparations against Iran in exchange for non-revealing of the information about Israel’s involvement in the case. At the beginning of June the Bilderbergers will decide whether it is time to start a new season of political show around Iranian nuclear weapons, US Dollar and global natural resources. We hope they will be shrewd enough not to plunge into this suicidal affair. The times have changed. The world government is now a far more distant perspective than it seemed in 1990s. Beautiful in its diversity multi-polar world, a family of genuinely sovereign nations, did not comply with its mission yet. How ridiculous: does anyone really think the brutal thugs of the Iranian regime isn’t bad enough to inspire it’s own internal resistance movement without the aid of unseen forces? Facebook’s ‘Million-strong for Democracy in Iran’, Jundallah terrorist group, global mainstream media hysterics against Iranian nuclear program and so on and so forth are all Tehran-sponsored? Mr. Gonzalez said it all. It is very obvious that Israel wants the U.S. to invade Iran, the only country in the Middle East that overtly speaks out against Israel, and is not afraid to do so. If the U.S. adheres to Israel’s desires, it will provide Israel with two advantages: A) The U.S. will be too busy with yet another country in the Middle East to check up on Israel’s inhumane actions B) Further “security” for Israel. What has Iran decided on the world and when will this be executed…. Just stand by. Being this or that anyone can feel the world (population) is running towards an end.